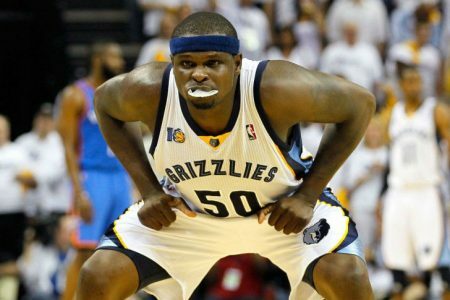 The Grizzlies have gone 4-1 ATS since Zach Randolph returned to the lineup, including a perfect 4-0 ATS run over their last 4 games. Memphis has been without starting point guard Mike Conley in each of their last two games and it hasn’t mattered, which is why I’m not concerned laying just 3-points on the Grizzlies at home with Conley listed as questionable. Newly acquired Jeff Green, has stepped up big in Conley’s absence. Green scored a team-high 21 in Memphis’s win at Orlando on Friday and came back with 17 the following night in their win at home over the Trail Blazers. Grizzlies are 9-1 ATS this season against explosive offensive teams that are averaging 103+ points/game and 22-8 ATS in their last 30 after scoring 100+ in each of their last 2 games. BET MEMPHIS -3! 4x Top 20 NBA Handicapper L6 Years! Steve Janus is a proven expert on the pro hardwood and is on a Massive 480-407 (55%) Run Over L887 5* Top Plays, which has his single-unit $1,000 Players up $31,130! Don’t miss out on a golden opportunity to build your bankroll Monday with Steve’s 5* NBA Blockbuster Blue Chip Top Play! This can’t miss premium play is yours for the low price of $35.95 and best of all is GUARANTEED TO PROFIT!